Steven (Chicagoland, United States) on 17 November 2009 in Sport & Recreation and Portfolio. 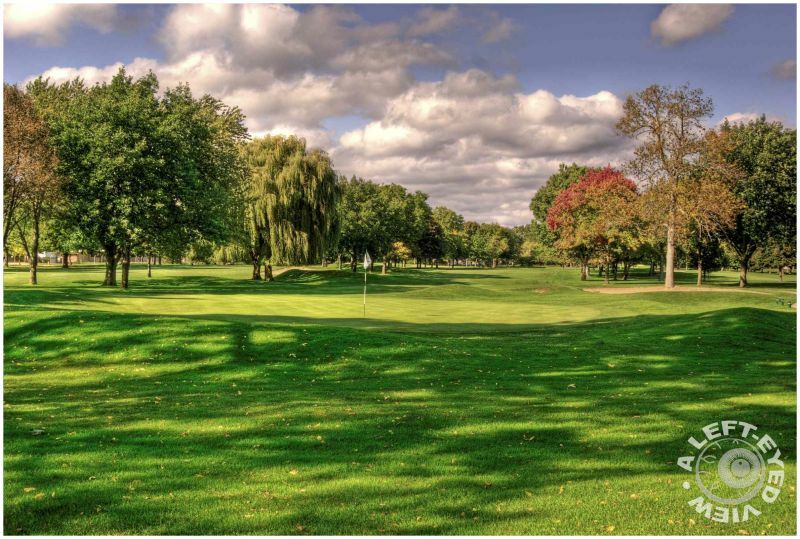 Looking north from the green of the par 4, hole #4 at Glen Flora Country Club in Waukegan, Illinois. Photo taken October 4, 2009. Steven, I love the shadows in this. A nice setting, a fairy garden ! A beautiful sight; I love the different shades of green. I feel sorry for the red one, clearly the odd man out Steve. Wonderful leading lines. Marvelous shades of green. Right down the fairway.... what's your best ? Lovely shot ! Intense greens and a touch of red. Nice. Perhaps better to be green than blue. Love the balance between light and shadows here! I feel the need to mow! You should be punished for that awful pun, Steven! Otherwise it's a great photo.